Top 3 best rapid elearning authoring tools for creating software simulation, product demos and Html5 learning content. Professional, cost effective authoring tools to create learning courses. Rapid elearning authoring tool is a program that allows educators to create elearning contents quickly and effectively. It should be easy to use with necessary authoring features, cost-effective and must be compatible to modern Learning Management System (LMS). In order to decide whether a rapid elearning authoring tool is suitable for you or not depends on the training needs, complexities of the course, delivery platforms – online or on mobiles – timelines, budget, and many other factors. With dozen of elearning software released every year, it is not an easy task for users to choose the best one. In today post, We will list out top 3 easy to use, powerful and cost effective rapid elearning authoring tools that I tested carefully last month. Maybe, this is not a perfect list for you. But, it’s really worth trying one-by-one. ActivePresenter is a wonderful product of Atomi System INC. It might be the lowest cost rapid elearning authoring tool at present time. Many educators have been using it to create interactive learning courses on Windows and macOS X. It comes up with a clear, logical and intuitive user’s interface that can be learned quickly even with a novice. Slide-based interface help users arrange, modify course’s elements rapidly. Full Motion Recording : Record screen as a full motion video and embedded in a slide for further editing with annotations, voice-over, zoom-n-pan, closed captions and animation effects. Microphone & Speakers Recording: Record system audio and audio from microphone simutaneously while recording screen. Smart Annotation: Automatically generate the description from the action and target application and insert to slide properly. This makes the content almost ready to publish for a quick tutorial. Configurable Hotkeys: Some target applications already registered the common hotkeys. In that case, configurable hotkeys are vital to make a complete recording session. Shapes: There are dozens of shapes to choose from. Changing the form and hotspot of a shape just by dragging mouse. Quizzes: Create virtually any kind of assessments or surveys by using 9 quiz types. If don’t know about ActivePresenter before, just try their free version which has everything you need to create an elearning course from recording screen, editing video, creating interactivity as well as export project into HTML5 (with a watermark). Once you get familiar with ActivePresenter, you can purchase this software at $249 only. It is no doubt to say that Adobe Captivate 9 is one of the best rapid elearning authoring software in 2017. It can ““go seamlessly from storyboarding to responsive eLearning design”. Yes, Adobe Captivate 9 is a perfect upgrade in 2017 from its previous – Captivate 8. Captivate 9 allows users to create responsive elearning content easily, rapidly for most casual users. Although the features of Adobe Captivate 9 is great, but its price is something you need to consider before making a decision. We will take a look at their offer later. Automatically create fully responsive content using innovative Fluid Boxes. Transform* legacy courses to responsive eLearning with just a few clicks. Deliver beautiful fonts everywhere using Adobe Typekit integration. Design all types of content — simulations, HD demos, assessments and more, with just one tool. Create storyboards using Adobe Captivate Draft, turn them seamlessly into attractive courses with more than 75,000+ free eLearning assets. Smart eLearning design [New] Embrace an intelligent authoring paradigm—deliver the most engaging, interactive device-independent content with a minimum of fuss. Automatically create fully responsive content that best-fits your learners’ devices, automatically transform legacy projects into responsive projects and automatically deliver great viewing experiences with Adobe Typekit integration. Fluid Boxes [New] Explore the building blocks of Smart eLearning design with intelligent containers that use white space optimally. These containers kick-in when you choose a responsive theme. Optionally you can draw your own Fluid Boxes. Objects placed in Fluid Boxes get aligned automatically so that learners always get fully responsive experience regardless of their device or browser. Crunch authoring time and speed up time-to-market with a host of powerful properties, such as optional display of objects and locking of aspect ratio. Multiscreen responsive eLearning authoring [Enhanced] Author as you always have—content automatically rearranges itself for the learner’s device. Use the in-product device-specific preview to see how your project will appear. Publish as a single project and automatically deliver a fully responsive experience to your learners. Auto-migrate from non-mobile to mobile [New] Join the mobile age. Transform legacy desktop-only courses into fully responsive modules using patent-pending technology from Adobe. Bring in existing Adobe Captivate projects and save them as responsive projects. When you relaunch them, Fluid Boxes will automatically appear around the most logical grouping of objects, which you can accept or customize. Adobe Typekit integration [New] Good typography makes for a great viewing experience only when it is consistent across devices, and delivering that just got a lot easier. Create a cloud-based kit of selected Typekit font families for use in your courses. Now learners will experience the content exactly as you intended. Best-in-class screen capture Generate robust software simulations with multiple learning modes in a single recording session by capturing all on-screen actions, including mouse movements, system audio and keyboard activity. Create a single responsive screen capture project that plays seamlessly across devices. Adobe Captivate detects screen activity in the recording window and automatically pans to those areas to create screen capture output for the tablet and mobile views. Adobe Captivate Draft Kickstart authoring the smart way with this free storyboarding app**. Convert your ideas into interactive storyboards complete with eLearning elements such as content and question slides, branching logic, and more. Share storyboards for real-time, collaborative reviewing on the cloud; reviewers do not need to have either the app or Adobe Captivate. Simply import your storyboards into Adobe Captivate and publish them, to seamlessly generate responsive projects. **the app is currently available only for iPad on the Apple iOS App Store. Roundtripping with Microsoft PowerPoint Make a smart move—go beyond static slides to interactive eLearning. Import your PowerPoint slides into Adobe Captivate, bring in objects, animations, and multimedia, easily update the content, and keep your PowerPoint and Adobe Captivate projects in sync. Asset store Work smarter—unlock value with in-product access to Adobe Stock and our library of 75,000+ free eLearning assets. Choose from a universe of royalty-free images, people cutouts, interactions, themes, games, scenarios, and much more. Find the perfect asset for your eLearning projects and delight your learners with content that dazzles. Responsive sliders [New] Break free of fixed sizes. Forget breakpoints. Now take advantage of a new vertical slider and revamped horizontal slider to preview content across a broad device landscape, from 320px to 1280px width and 100px to 5000px height. Responsive text support [New] Provide a superior experience to learners, even for text-heavy courses delivered on small screens. Long paragraphs are automatically collapsed to just a couple of lines, and learners can click to view more. Responsive themes [Enhanced] Choose from attractive themes that blend backgrounds, styles, fonts, and layouts. The themes come with Fluid Boxes automatically enabled making it easy to render fully responsive content for multiple devices. Customize themes to meet your requirements or create your own. Save themes for reuse across projects. Responsive Motion Effects without programming [Enhanced] Create fluid object transitions that include motion paths and rotations, even in responsive projects. Now add effects to both individual objects and groups of objects. Define Linear, Custom or Scribble motion paths to completely control the way objects move. Preview animations on hover, and see how effects play out on the integrated Effects and Project timeline. Deliver a superior responsive learning experience by designing different effects for different devices. Customizable closed captions [New] Create courses that meet accessibility standards with closed captions generated from slide notes and for slide videos. These can be enhanced by controlling the way they look and where they appear. Device-specific previews [New] Eliminate the guesswork. Now preview exactly how your content will look on specific devices by selecting from a preset device menu. You can also add new devices to the menu, as required. Shared Advanced Actions [Enhanced] Use advanced actions to enable conditional or multiple actions in an interaction or across projects. Create shared action templates to use across modules and projects. Enhance shared actions with variable parameterization. Now you can have one or more Decision or Conditional table. You can also create a looping algorithm from within an advanced action. Publish to Adobe Captivate Prime and other LMSs Set up a smart learning ecosystem and deliver a superior experience to your learners thanks to tight integration between Adobe Captivate and Adobe Captivate Prime LMS. Publish your courses with a single click to Adobe Captivate Prime, or to other leading LMSs. Multistate objects Power up your eLearning with less elbow grease using object states on steroids. Improve retention by enabling learners to interact with objects in ways never seen before. Make complex workflows achievable with just a few clicks by triggering an unlimited number of custom or in-built states, for each object, including smart shapes, images, text, buttons and more. Easily edit states using the States timeline. Roundtripping with Adobe CC Roundtrip seamlessly with Adobe Photoshop, Illustrator, Audition and more in Adobe Creative Cloud and work with the world’s best creative apps. Preserve layers in imported Photoshop files, and edit or animate individual layers in Adobe Captivate for just the right effect. Edit and enhance audio files in Adobe Audition CC software and then bring them back into Adobe Captivate. Intuitive user interface Call on the power-packed functionalities of Adobe Captivate from within a intuitive UI that makes authoring easy and efficient. Enjoy authoring with an interface that is simple enough for subject matter experts and powerful enough for experienced users. Comprehensive quizzing Take the smart route to create attractive quizzes – simply customize out-of-the-box quiz templates. Include question types like matching, short answer, and fill-in-the-blanks. Keep learners on-track with knowledge check questions embedded in your course. Improve the percentage of successful outcomes using the remediation workflow—when answering a quiz question incorrectly, let learners revisit the relevant section, understand the concept correctly, and retry the question. Accessibility support Expand your outreach to defense, government, and educational organizations. Easily create simulations and demonstrations that address accessibility standards, such as Section 508 and Web Content Accessibility Guidelines 2.0 (WCAG 2.0). To help ensure that everyone can access your content, define text equivalents, insert clickable areas that allow keyboard access, and more. Text to speech Keep learners tuned in to your content thanks to automatic voice-over functionality that turns text into high-quality speech in a few clicks. Need to change the text? Just click once to update the audio. Best-in-class HTML5 publishing Import your PowerPoint project into Adobe Captivate and retain text, shapes, audio, and animations, when you publish them directly to HTML5. Make your eLearning content more mobile with full support for scalable HTML5, mobile themes, play bar, and the ability to pause and resume anywhere, anytime, and on virtually any device. Also publish HTML5 courses directly to Adobe Captivate Prime LMS or Adobe Connect. Scalable Vector Graphics (SVG) support [New] Create high-quality projects with vector images that scale across devices and sizes with no loss of quality. Define complex shapes and bring them into Adobe Captivate, as SVG graphics. Convert them to auto shapes and use them as buttons or feedback captions. Roundtrip with Adobe Illustrator CC to edit the images. The images are automatically added to the library, and can be re-used across projects. iOS device capture Record your device screen as a full resolution HD video. Make your video richer by adding mobile-specific gestures such as swipe, tap, and pinch to zoom. Select from a range of audio sources, such as system audio, device audio, and microphone input, to customize your video demo. Geo-location support Utilize the GPS capabilities of mobile devices to deliver timely, location-aware content to learners. Create assessments that require learners to be at a particular geo-location. Set location parameters easily using the integration of Google Maps with Adobe Captivate. Native app publisher Publish your course as an app to multiple mobile platforms, such as iOS, Android, and Windows RT (Metro apps), simultaneously and with a single click, right from within Adobe Captivate using the Adobe PhoneGap* service. *Requires separate purchase of PhoneGap. Audio-video support and synchronization Record system audio along with narration or import video in a wide variety of formats (AVI, MOV, FLV, MPEG). Synchronize audio or video with slides and timed objects. Edit audio to correct mistakes, add an external track, or attach sound effects to individual objects. Make your eLearning more personal by providing audio responses to interactions and enabling in-course YouTube video streaming. Responsive drag-and-drop interactions Make eLearning fun with drag-and-drop games, quizzes, and learning modules that can run on any device. Choose from a variety of relationships between the drag item and drop target to implement learning outcomes more visually. Provide customizable audio feedback to every drag-and-drop attempt. In-product LMS preview Eliminate the guesswork from content-LMS integration, get fine-grained control over all aspects of your course, and reduce dependency on your LMS administrator. Automatically preview courses in Scorm.com, to gauge LMS compatibility and get error logs to identify those portions of the course that need attention. Master slides Use master slides to easily create and maintain well-formatted and consistent-looking content that meets your corporate guidelines. Define styles and apply them to selected objects for quick and consistent formatting across a project. 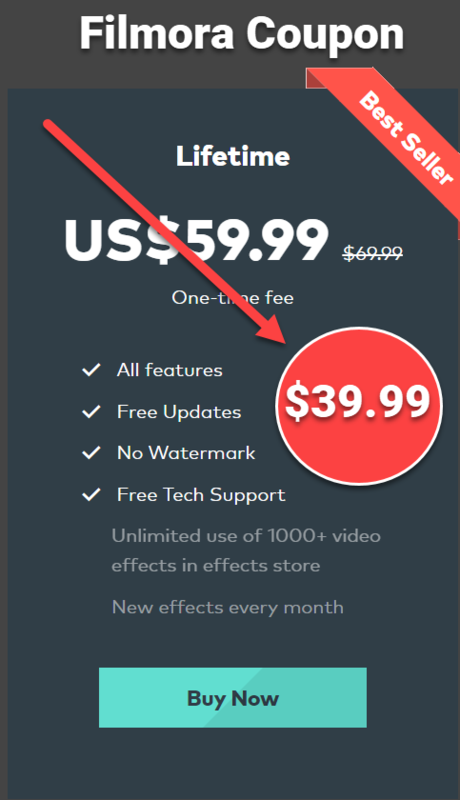 Pricing Overview – Give it a try here! Storyline 360 is a combination of Storyline and Rise, plus other authoring tools developed by Articulate which includes best features to create interactive courses that work on any devices. It has been one of the most favorite tools for elearning experts as well as beginners. An abundant template library that allows users to choose courses templates characters, videos, icons and photos which is a unique feature in comparison with other similar tools. Started price for individuals at 999$ and 1299$ for teams are not expensive for what you received in this tool. Intuitive User Interface: Get started with Articulate Storyline 360 right away with an intuitive, familiar interface. No training required. Content library integration: Browse Content Library templates, characters, and stock media right from within Storyline 360, speeding your workflow. Content library media: includes more than 1.5 million photographs, illustrations, icons, and videos to Content Library, which you can access right from Storyline 360. All assets are royalty-free with no attribution required. Slide template: Access the ever‑growing library of beautifully designed, easily customizable slide templates in Content Library. They include educational content to help you create courses faster. Characters: Choose from the ever‑growing library of new photographic and illustrated characters in Content Library to build scenarios and make courses more relatable. Review integration: Easily get in‑context feedback from subject matter experts (SMEs) with the web‑based Articulate Review app. No download required. Text editing: Easily customize text spacing, alignment, size, and color; insert custom font characters and bullets; and use all the features in your fonts, including ligatures. Replace fonts Quickly replace one font with another throughout your project. Choose the font you want to replace and the font you want to use instead, and Storyline 360 will swap out every instance of the font for you. Dockable panels Move the triggers, slide layers, timeline, states, notes, and scenes panels anywhere on your desktop or even to a second monitor. Timeline: Make objects, animations, trigger events, and other elements appear in the right place at the right time with the intuitive visual timeline. Story View: See a single, big‑picture view of your course with Story View. Use it to easily view, rearrange, and edit slide relationships and course structure. Slide View Toggle: Toggle between Slide View and Form View in one window, so you can make changes to slides quickly and easily. Slide Masters: Apply the same look and feel across multiple slides, and create various layouts and assign them to slides with certain types of content. Picture Placeholders: Picture placeholders can now be any shape. Images automatically scale and crop to fill placeholders, and when you delete or replace placeholder content, triggers stay intact. Design Themes: Apply design themes that include colors, fonts, and objects on your slide master to create a compelling look. You can even apply different themes to different slides. Color Themes: Create beautiful, consistent slides using a built‑in color theme. Or create a theme of your own to set color choices for text, shapes, backgrounds, and more. Format Painter: Format any object on your slide, then copy your formatting to text boxes, shapes, buttons, characters, and more. Zoom: Zoom‑in to important content. Magnify anything on your slide, and add a panning effect by combining multiple zoom regions. Content Importing: Easily import existing Articulate Storyline, PowerPoint, and Articulate Studio projects. Localized Interface: Storyline 360 is available in English, Chinese, French, German, and Spanish. AutoRecovery: Never lose your work. If Storyline 360 closes unexpectedly, you’ll have the ability to reopen your file right where you left off. We understand that there are more available rapid elearning authoring tools like Trivantis, Elucidat, Ispring suite or Easygenerator…etc. However, the above mentioned software are worth trying from my point of view. Let’s us know your opinion about these tools. Best screencast software for education: Teachers, Trainers May Love to use!